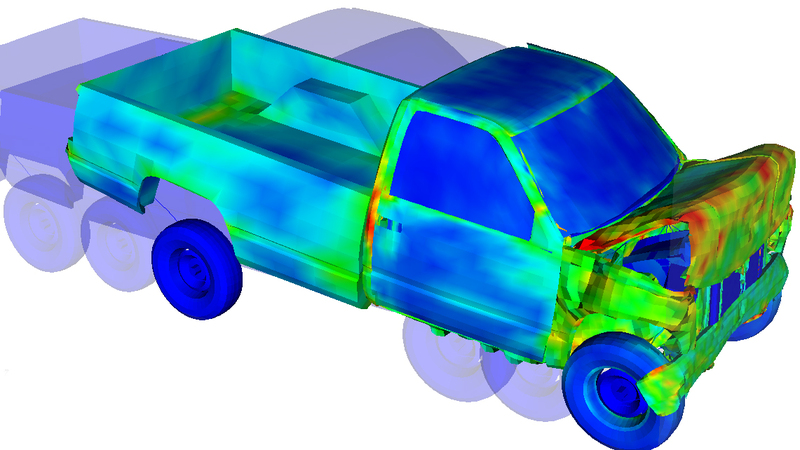 Dytran is an explicit finite element analysis (FEA) solution for simulating short-duration events like impact and crash, and to analyze the complex nonlinear behavior that structures undergo during these events. Dytran enables you to study the structural integrity of designs to ensure that final products stand a better chance of meeting customer safety, reliability, and regulatory requirements. Dytran delivers a structural, material flow and coupled FSI analysis capabilities in a single package. Dytran uses a unique coupling feature that enables integrated analysis of structural components with fluids and highly deformed materials in one continuous simulation. Dytran uses explicit technology to solve transient dynamic problems. 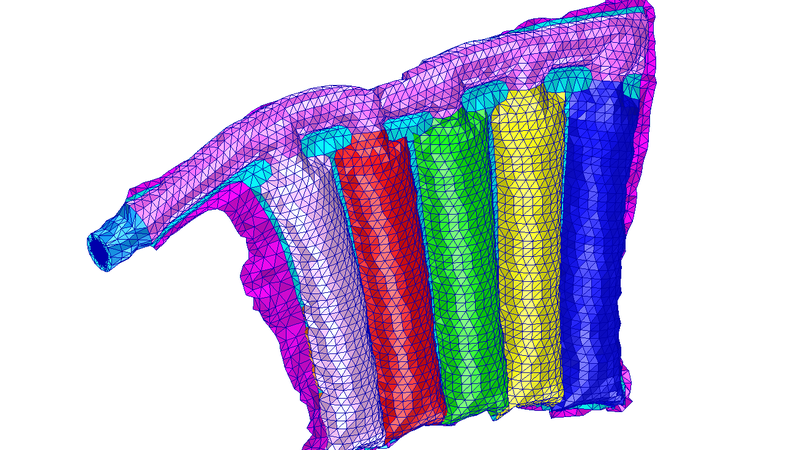 Solid, shell, beam, membrane and connectors and rigid elements can be used to model the structures. A wide range of material models are available to model the nonlinear response and failure. These include linear elasticity, yield criteria, equations of state, failure and spall models, explosive burn models and composite materials to name a few. Contact surfaces allow structural components to interact with each other or with rigid geometric structures. This interaction may include frictionless contact, sliding with frictional effects and separation. Single surface contact can be used to model buckling of structures where material may fold onto itself. Eulerian solvers are typically used for solving fluid problems, while Lagrangian solvers are used to solve structural problems. However, many real world situations need to account interactions between fluids and solids – deforming solids affecting fluid flow and fluid flow deforming a structure. Problems like fluid sloshing in a tank, airbag inflation, hydroplaning etc. can only solved with fluid-structure interaction accounted for. Both Lagrangian and Eulerian solvers are available in Dytran to enable modeling of both structures and fluids in a single model and simulate the interaction between them. Interaction between the fluids and structures is achieved through a coupling surface created on structures (Lagrangian domain). Dytran makes use of the latest numerical methods and high performance computer hardware. It provides cost-effective solutions on the latest generation of computers ranging in size from desktop machines to supercomputers. In addition, some applications can exploit the parallel processing facility for distributed memory systems.